AZA Fashions - Indias Leading Luxury Fashion Platform is coming to DUBAI on Friday 15th & Saturday 16th February at Shangri-La Hotel, Sheikh Zayed Road - Dubai from 11:00 am - 7:00 pm. 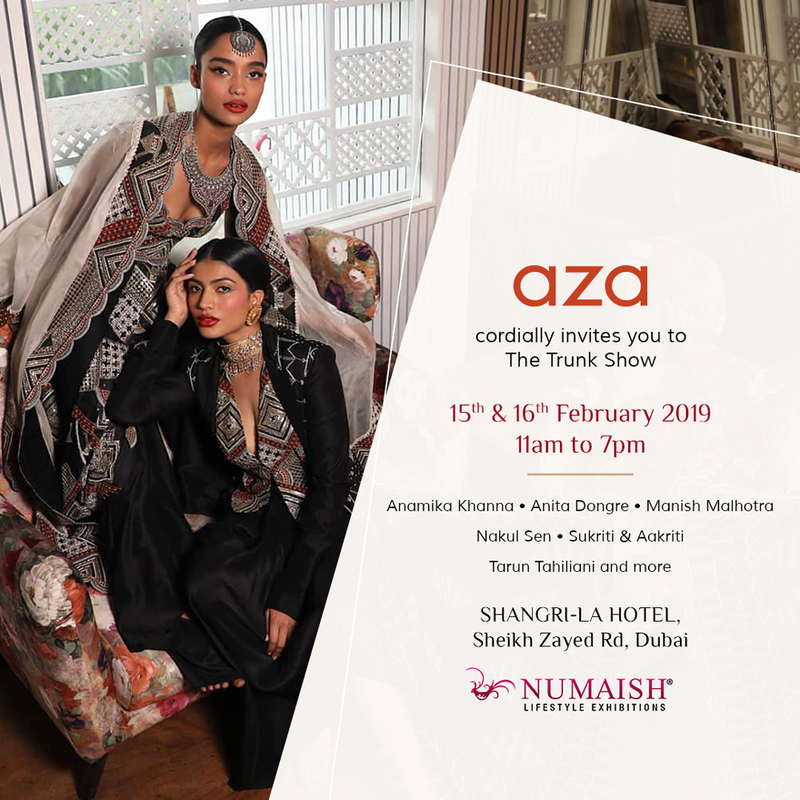 The AZA Trunk Show to showcase the latest curated collections by some of Indias most celebrated designers including Manish Malhotra, Anamika Khanna, Tarun Tahiliani, Urvashi Joneja, Sukriti & Aakriti, Anita Dongre and Nakul Sen amongst others. Slay your wardrobe goals with the scintillating trunk Show of Aza Fashions. You will experience shopping like never before this is going to be your one stop destination for luxury fashion & occasion wear – The Aza Trunk.